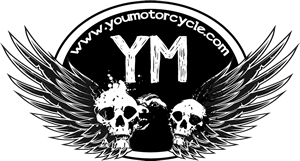 Continued from Navajo Canyon De Chelly Motorcycle Ride (My Daughter, The Alien – Part 2) – if you haven’t read that yet, start there! As described in Part 1 of this riding adventure, I was touring the forested and desert parts of Arizona and New Mexico searching for evidence of my daughter’s teenage extraterrestrial heritage. I rolled into southern New Mexico, riding toward Roswell, home of the UFO museum when I stopped for lunch in the small desert town of Corona, where the UFO incident of 1947 occurred, as I learned later when I reached the UFO museum. In 1947 a ranch foreman near Corona went out to look around after having heard a sound like a huge thunderclap the night before which had been cloudless. He found a piece of bent metal that was lighter than aluminum foil. He tried to bend it and couldn’t. He took it back to the ranch and even pounding on it with a 16 lb. sledge hammer could not make it bend. He took it in to the nearby army base. They sent a party back with him and they discovered a crashed saucer shaped ship with 3 alien beings inside, one of whom was still alive. The US Army immediately cordoned off the area and put the ranch foreman into 5 days of isolated interrogation. They scooped up the ship and aliens on a covered trailer and brought them back to Roswell. They ordered 3 child sized coffins from the local undertaker. Then they put the coffins and saucer on a B-29 bomber and flew them to Wendover, Utah and placed them in an old bunker originally dug to hold atomic bombs. They then brought out an old aluminized weather balloon and explained that pieces of it (which were easily bent) were what had really been found. 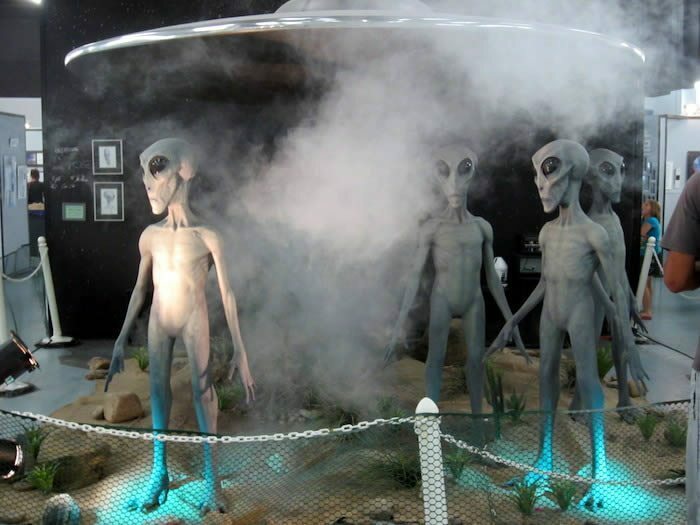 The museum includes the affidavits of a good number of people who saw the original metal, the covered trailer and one lady said she had taken notes while a doctor looked over the aliens and described their appearance. There is also a letter from Curtis LeMay, the gung ho General who was in charge of the army recovery team at Roswell. The letter discusses the conflict in his mind between his creationist religious beliefs and the presence of alien beings. Most of the affidavits claimed that army officers had threatened them with disappearance in the desert if they ever described what they had seen. Now in old age, the people were coming out and saying what they saw and heard. The ranch foreman emerged from his isolated interrogation and said it was just pieces of a weather balloon he had found and then immediately purchased land and fancy vehicles with his suspected payoff. As unlikely as it may sound, the UFO Museum provides a pretty convincing story that this event did occur. So what is the connection to Bailey? Hah! The B-29 which flew down to pick up the mysterious cargo was a part of the 509th Composite Group that trained in Wendover, Utah before flying to Tinian in the Pacific Ocean and then flew on to drop the 2 atomic bombs on Hiroshima and Nagasaki and caused the Japanese to surrender. 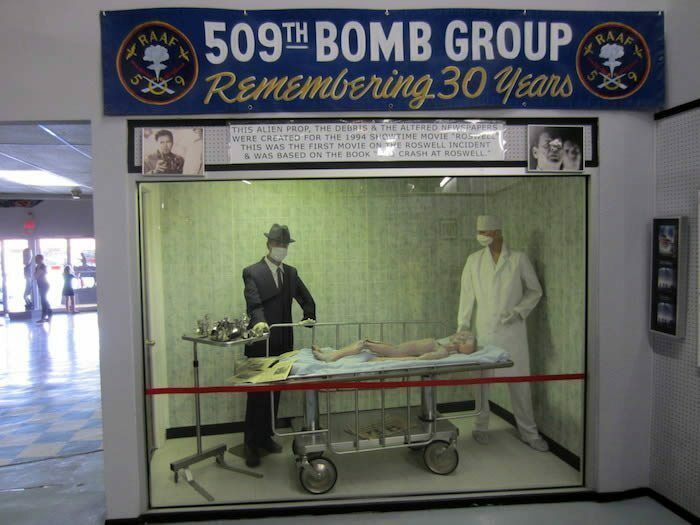 My father was a member of the 509th and scheduled to fly the 3rd atomic bomb which fortunately never happened. My mother stayed with my dad while he was training in Wendover and that is where my sister Stephanie was born. Now some might point to the fact that my parents and sister were in Wendover 2 years before the Roswell UFO event occurred and no transfer of alien genetics would be possible. My thinking is that any alien culture that can figure out how to travel across the universe to our planet in a craft fashioned of amazingly stout tin foil can deal with a trivial couple year discrepancy without breaking a sweat. As further proof I offer my sister, Bailey’s aunt, whom nobody would argue has serious alien genes at work in her. My extended theory about extraterrestrial genetics is that they do not transfer from parent to offspring, but rather from aunts and uncles. This is one of the ways that crafty aliens can hide their genetic effect on us humans and thus I have concluded that the Roswell UFO event has a direct link to my daughter Bailey’s teenage extraterrestrial behavior. 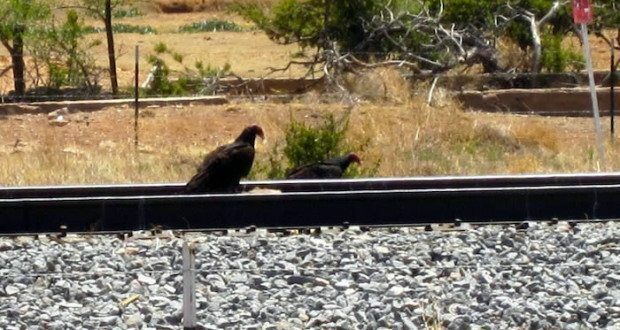 Satisfied that I had once again solved a perplexing personal life mystery by combining my engineering education with creative theories and sleuthing, I pointed the Road Glide across the dead flat and drought parched plains of southern New Mexico toward Carlsbad, home of the famous caverns. It is so planar out there that you can see objects at incredible distances with your view obstructed only by the curvature of the earth. 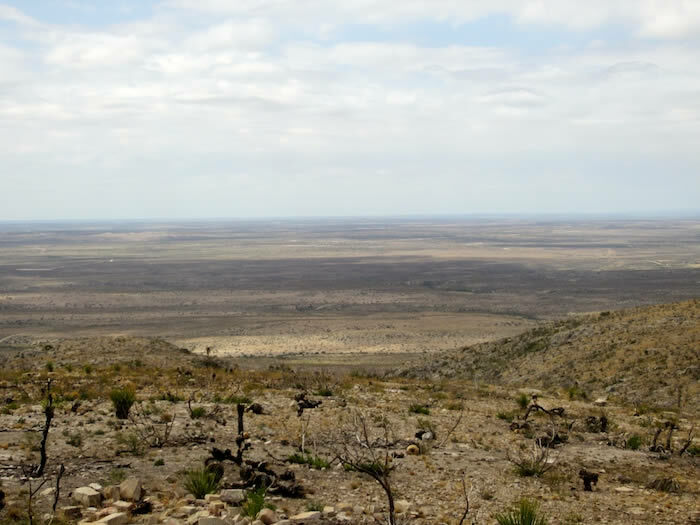 Read more by Jefe, and check out his new book, Life, America, and the Road, A Biker’s Perspective on his website – or read the next part of Jefe’s adventure: Carlsbad Caverns & New Mexico – (My Daughter, The Alien – Part 4).